We've been using this fabric in many of our designs as it offers a unique use of color gradation. It works well with many Phillips Fiber Art designs. Here are a few of our samples. Above: See the way the colors move in our New Squedge 30 Sample? It was was made from 3 pieces of Serendipity Fabric! 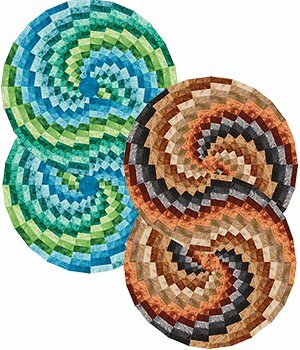 Right: Perfect value changes make this pair of Bargello in the Round Samples in the Platinum Quilts Without Corners. (pages 7-15) Serendipity Fabrics were ideal for these projects. The consistency of the value changes made strip piecing a breeze. 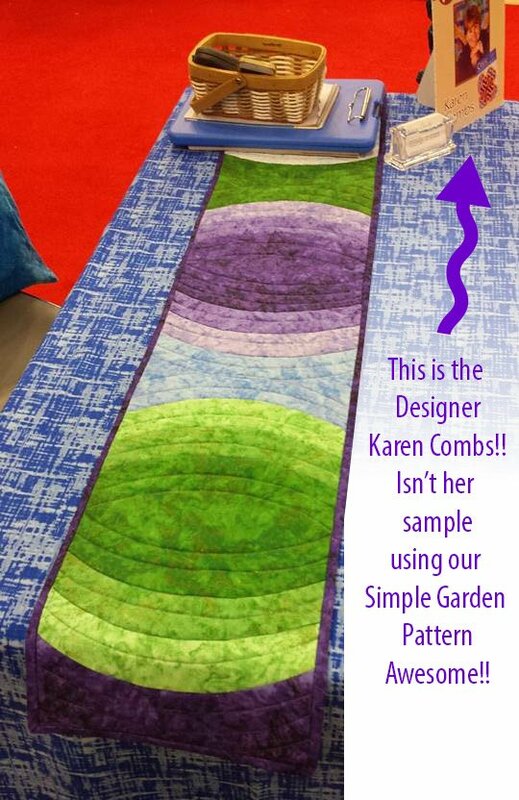 Above: Using Serendipity and the Bargello Color Wheel pattern make for a beautiful quilt! Kits are available here. 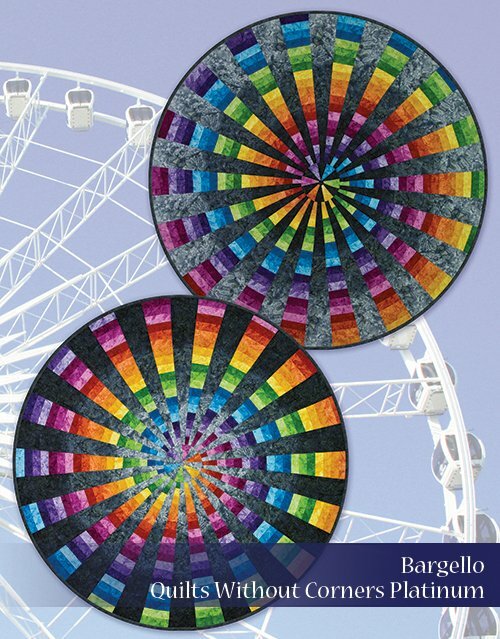 For a helpful "Labels, Cutting, and Working with Serendipity Fabrics in the Bargello" download here. 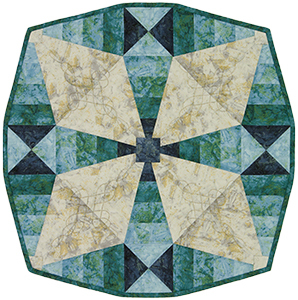 Above: Our Free Pattern, using the Junior Gem Five and Ten is another great example of the Serendipity Fabric line.